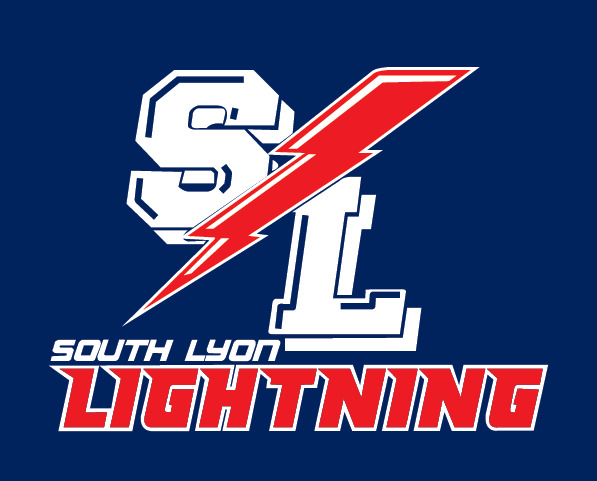 SOUTH LYON LIGHTNING BASEBALL APPAREL AND ACCESSORIES! SOUTH LYON LIGHTNING BASEBALL apparel and accessories are now available to order online! VERY IMPORTANT: ALL ITEMS ARE MADE SPECIAL TO ORDER AND MAY NOT BE RETURNED FOR SIZE EXCHANGE OR FOR REFUND. PLEASE BE SURE TO ORDER THE CORRECT SIZE. There is a sizing chart on the page of each individual item. Please be sure to check that sizing chart before ordering. Some items (but not all items) will be available for viewing at Sports & Apparel in Fowlerville. There is a $2.00 processing fee for all orders. This will be added in shipping/handling at checkout. ALL ORDERS WILL BE COLLECTED THROUGH ABOVE ORDER DEADLINES, THEN PROCESSED IN BULK. Note: Delivery date is not guaranteed, but our best estimate based on normal order processing without product back orders or unforeseen delays. We will do our very best to meet this delivery estimate. You may customize most items with player name, or name and number at an additional cost. All items available for customization will have a drop down menu on the description page of that item. IMPORTANT - be sure to indicate correct spelling of player name or name & number in the COMMENTS section at checkout. 1. Select "In Store Pick Up" - When your order is ready, you will be called to pick up your order at our store, in Fowlerville. 2. Select "USPS PRIORITY MAIL" to have your order mailed directly to your home. Shipping charges will apply for this option. (cheapest home delivery option). 3. Select "UPS GROUND" to have your order shipped UPS GROUND SERVICE. Added shipping charges will apply for this option (normally more expensive than USPS mailing). Please click on the individual items below for a complete description, and to order. Note: logo sizing is approximate only on the photos depicted. Normal sizing for all logos will be used when we process the orders. If you have any questions about the order process, or about any item available, please contact Sports & Apparel before you order.